Who won my LooHoo Wool Dryer Balls Giveaway? Thank you to the 1,739 readers who entered! The four lucky winners are announced below. I’m ditching my fabric softener and switching to the all-natural LooHoo Wool Dryer Balls because it’s fun, it’s green, and it’s frugal. The winners of my giveaway must respond to my email within 4 days in order to confirm their prize. If you think you might have won, please contact me. LooHoo Winner #1: Kathleen M.
LooHoo Winner #2: Sharon G.
LooHoo Winner #3: Tammy R.
LooHoo Winner #4: Warunee S.
I love to spoil you with giveaway prizes like this, but the giveaway slow-down during the summer because of my changing work schedule. That’s why you should find Giveaways to Enter on my Pinterest board. 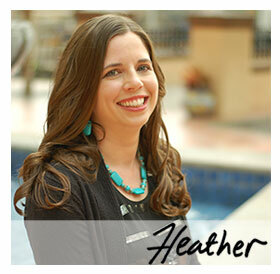 Thank you so much, Heather. I am excited to try these! I’m so glad you won! Enjoy your prize. I’m so happy that such an enthusiastic reader won! You are going to LOVE your LooHoo Wool Dryer Balls!